Milk - Do You Remember? 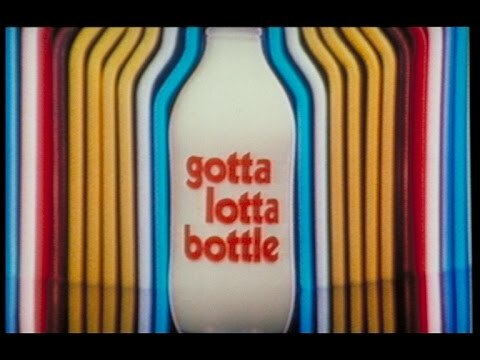 "Milk has gotta lotta bottle". 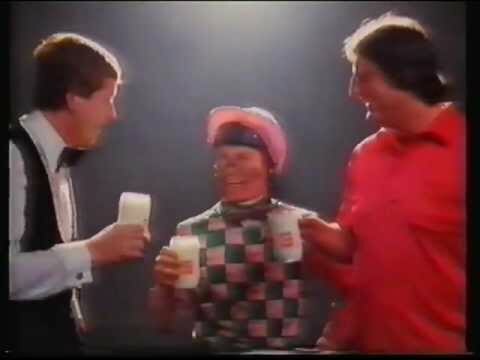 Bizarre advert featuring a rock / punk band singing a song about milk having a lotta bottle and cutting between dancing ladies in latex and a couple of blokes on bicycles. Does anyone know where I can find the cool for cats milk advert in the 90's where a football team were getting thrashed then a bunch of girls kidnapp a milkman give the lads some milk and end up scoring loads of goals and winning the game. I was the boy licking his lips fast and eyebrows going at the same time. Would love to show my kids it. That link has been removed :( that's the same milk advert i'm trying to track down as my sister was the little girl in bunches grabbing the old milk van. I'll keep trying to find it. But it would help if you know of any other links for me to try. I remember all of the above but Humphrey. I do remember a milk ad that was very popular in the late Eighties with a long-haired bloke with a guitar looking out of an upstairs window and then going for a run... Music from Miami Vice accompanied. Anyone remember? It was well-known enough to be parodied in The Krypton Factor's Observation round! When I started secondary school my English teacher told us her Dad was something to do with Accrington Stanley and they'd worked with the advertisers to create that ad. Lads at school were always acting it out and knew every word! milk has got a lotta bottle...the police...STING...hahaha prat!!!! I've still got my "Hands off, Humphrey" mug. 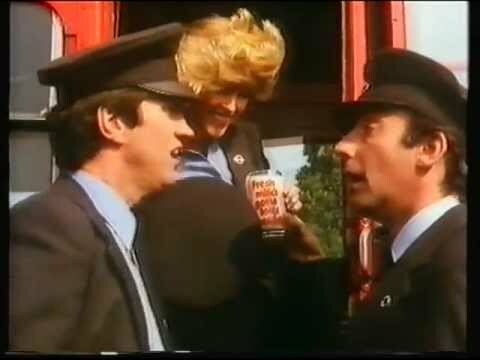 One advert had Barbera Winsor bathing in milk when the stripey straws started draining it! Jayne, your daughter is right. It was Paul Whitehouse from the fast show. He actually did the milk commercials about 10 years ago based on his character in the show, just like Harry Enfield did with the Dime bar ads. I'nt milk brilliant!! I'm trying to find video footage of the 'Cool for Cats' milk ad that was on in the early 90's - does anybody know where I might be able to find it? "Mum was down the disco and the old Man's out of town, they said that I could party so a I got a few mates round..." It's a classic and all my mates at school said I looked like the main kid in it, unfortunately I wasn't but I'd love to see ti again! I remember that so so well! And the straws canme in a grey cardboard box with red writing and a heart on them, 'Sweetheart Drinking Straws' "Author: Lexen Memory: When I was at nursery school and infant school during the early 80s every kid got free milk at breaktime. It came in dinky little glass bottles with silver foil caps and you sucked it out through a blue straw. They were great fun and kids used to annoy teachers by making slurping noises or blowing bubbles"